I’ll reluctantly admit that my knowledge of Andrew Jackson Jihad is virtually nonexistent outside their 2007 masterpiece People Who Can Eat People are the Luckiest People in the World. Upon its release, that damn record was the only thing I spun for nearly two months. At that time, the fresh, emotionally-fueled marrying of folk and punk was all I would listen to, which makes the fact that I never really ventured off into other nuggets of their discography all that much more questionable. 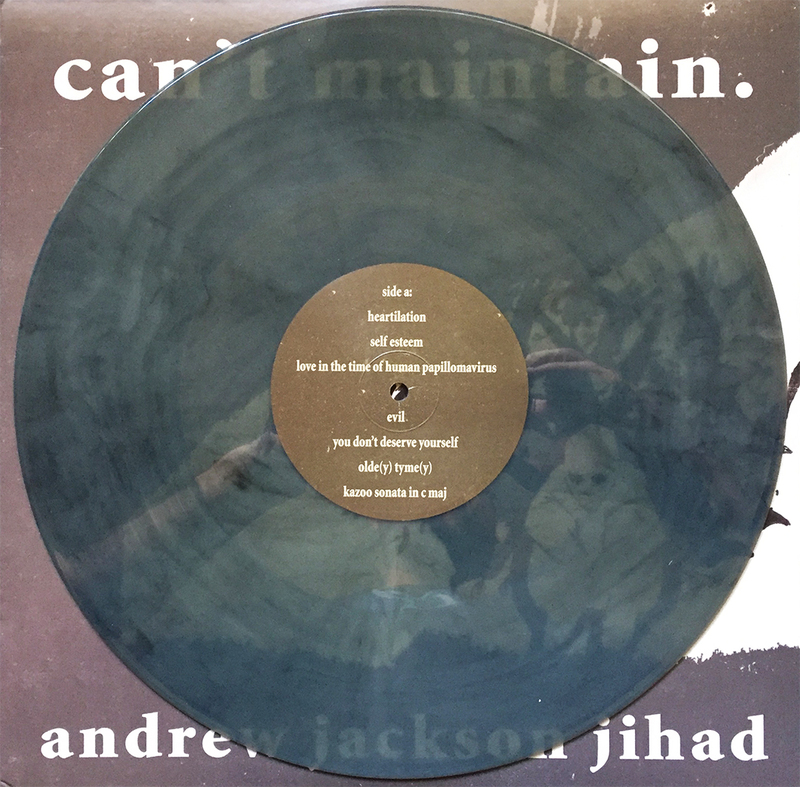 Can’t Maintain is the 2009 follow up to PWCEPatLPitW, and while it keeps the same self-destructing lyrics and high-energy acoustic back beat, there’s an underlining layer of hope and optimism not found from PWCEPatLPitW. It’s well worth checking out, just the same. A little tidbit of info, Andrew Jackson Jihad is now only called AJJ. Not sure when this happened, but there you have it. The more you know. This 2009 reissue of a 1997 bootleg between goth punks the Misfits and garage rock whores Rocket from the Crypt is an odd, yet complimenting split LP. 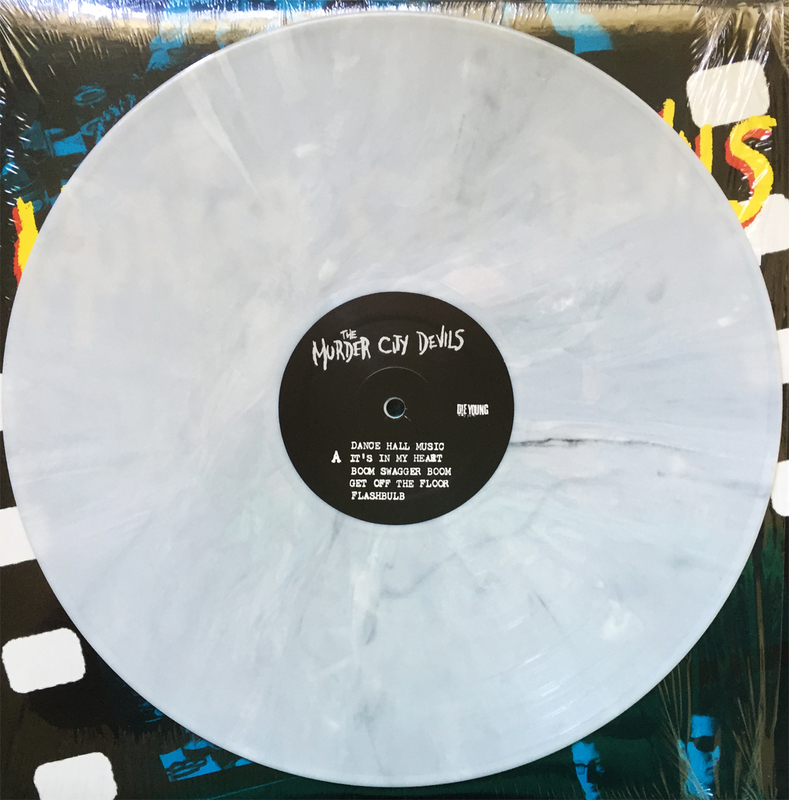 On side A you’ve got a few 1995 live recordings by Hell’s house band, Rocket from the Crypt (I heard that somewhere and never forgot it, though I forget where), and on side B you’ve got 9 live tracks by the Misfits from 1981 (recorded somewhere in Jersey, if you can imagine). 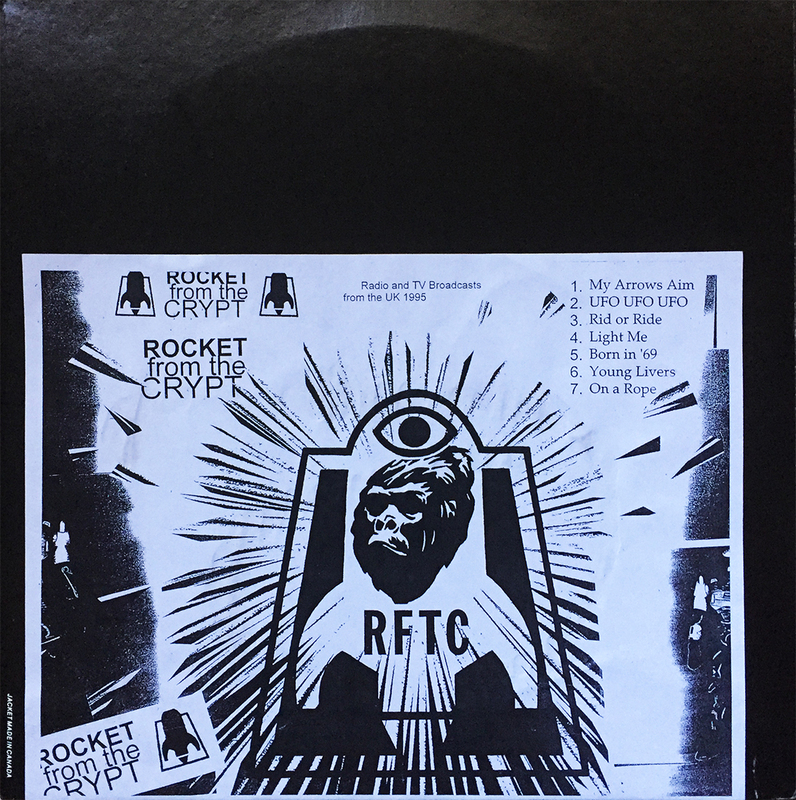 Pressed on white vinyl and limited to 300 “unofficial” copies, she marks the latest on the endless, yet essential list that is the Rocket from the Crypt discography. Listen with caution, I seldom say. 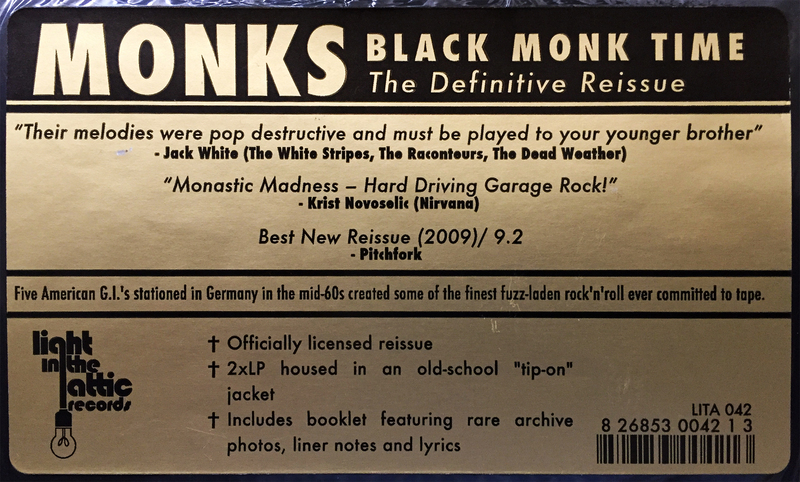 Already the proud owner of the 2011 bootleg, Black Time, which consists of the exact same opening 12 tracks, I’d passed up many an opportunity for the 2009 official reissue of this 1966 merciless album, Black Monk Time. That was, until yesterday’s trip to Amoeba. With no worthy Kinks albums, absolutely zero anything from Dan the Automator, no Nautiluss (that wasn’t already owned), and no reasonably priced Minutemen, I felt it was high time to bring this puppy home. 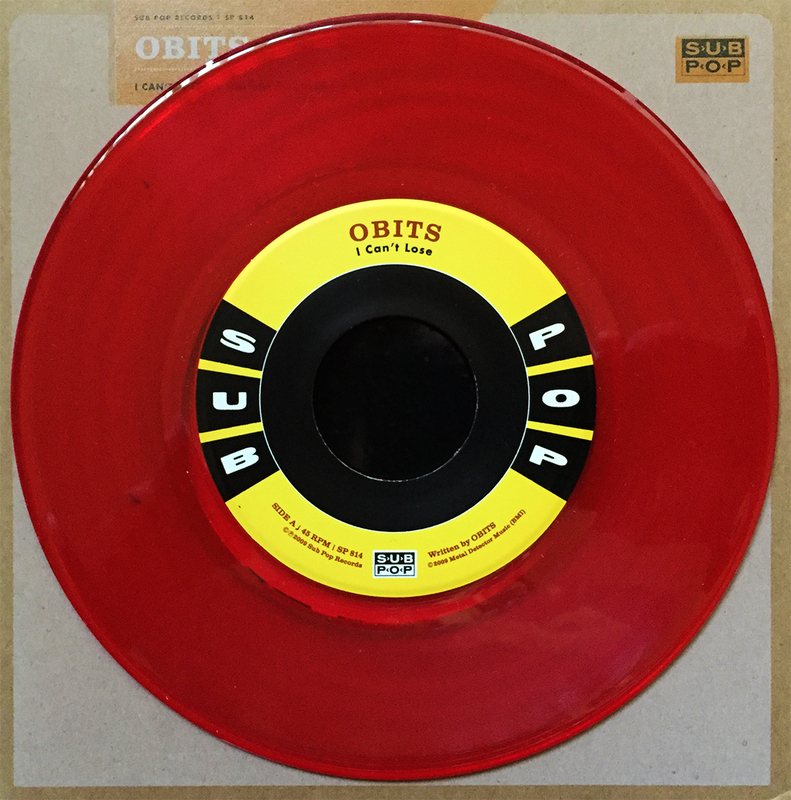 One record I should have purchased was the red vinyl version of On the Prowl by Rocket from the Crypt. $35 for two tracks slipped me up, but now I wish I’d have thought more clearly. As long as I have air in my lungs, the hunt continues. I ran across a stack of concert tickets last week while digging for non-music related fall decorations (such a thing should not exist in my humble opinion), and I thought that this would be a nice change of pace from the standard peak, pull, and photograph post. Cleverly dubbed the NINJA Tour (combining NIN and Jane’s Addiction… see what they did there? ), 5/20/09 would mark the first time I’d ever see Jane’s Addiction perform, and as I’d been listening to them since early Jr. High, I jumped at the opportunity (by driving to the venue) to see this historically prominent act. I all but completely ignored NIN, but Jane’s were nothing short of astonishing, and with no hint of anticipatory letdown. Jane Says… you listen. While prepping for a trip to the East Coast, let’s once again focus on the West Coast magistrates, Seattle’s The Murder City Devils. Rereleased in 2009, the band’s debut self-titled album struggled to stretch its indie wings, something that would over-abundantly come with their sophomore follow-up, 1998’s Empty Bottles Broken Hearts. Although certainly not the band’s most prolific moment, The Murder City Devils cements its deserving place in the collections of those who like their ear candy rough around the edges, yet melodically substantial.